Welcome to the world, Isenkram! If you wonder what 'isenkram' is, it is a Norwegian word for iron stuff, typically meaning tools, nails, screws, etc. Typical hardware stuff, in other words. I've been told it is the Norwegian variant of the German word eisenkram, for those that are familiar with that word. Update 2013-01-26: Added -us -us to build instructions, to avoid confusing people with an error from the signing process. Update 2013-01-27: Switch to HTTP URL for the git clone argument to avoid the need for authentication. This Christmas my trusty old laptop died. It died quietly and suddenly in bed. With a quiet whimper, it went completely quiet and black. The power button was no longer able to turn it on. It was a IBM Thinkpad X41, and the best laptop I ever had. Better than both Thinkpads X30, X31, X40, X60, X61 and X61S. Far better than the Compaq I had before that. Now I need to find a replacement. To keep going during Christmas, I moved the one year old SSD disk to my old X40 where it fitted (only one I had left that could use it), but it is not a durable solution. Lightweight (around 1 kg) and small volume (preferably smaller than A4). Robust, it will be in my backpack every day. Three button mouse and a mouse pin instead of touch pad. Long battery life time. Preferable a week. Internal Twisted Pair network card. Good keyboard - similar to the Thinkpad. Video resolution at least 1024x768, with size around 12" (A4 paper size). Hardware supported by Debian Stable, ie the default kernel and X.org packages. Quiet, preferably fan free (or at least not using the fan most of the time). You will notice that there are no RAM and CPU requirements in the list. The reason is simply that the specifications on laptops the last 10-15 years have been sufficient for my needs, and I have to look at other features to choose my laptop. But are there still made as robust laptops as my X41? The Thinkpad X60/X61 proved to be less robust, and Thinkpads seem to be heading in the wrong direction since Lenovo took over. But I've been told that X220 and X1 Carbon might still be useful. Perhaps I should rethink my needs, and look for a pad with an external keyboard? I'll have to check the Linux Laptops site for well-supported laptops, or perhaps just buy one preinstalled from one of the vendors listed on the Linux Pre-loaded site. In Ubuntu this mechanism is combined with support in the browser itself to query for plugins and propose to install the needed packages. It would be great if Debian supported such feature too. Is anyone working on adding it? Update 2013-01-18 14:20: The Debian BTS request for icweasel support for this feature is #484010 from 2008 (and #698426 from today). Lack of manpower and wish for a different design is the reason thus feature is not yet in iceweasel from Debian. What is the most supported MIME type in Debian? The DEP-11 proposal to add AppStream information to the Debian archive, is a proposal to make it possible for a Desktop application to propose to the user some package to install to gain support for a given MIME type, font, library etc. that is currently missing. With such mechanism in place, it would be possible for the desktop to automatically propose and install leocad if some LDraw file is downloaded by the browser. To get some idea about the current content of the archive, I decided to write a simple program to extract all .desktop files from the Debian archive and look up the claimed MIME support there. 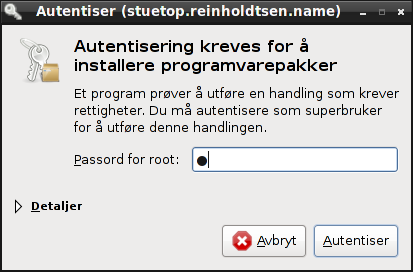 The result can be found on the Skolelinux FTP site. Using the collected information, it become possible to answer the question in the title. Here are the 20 most supported MIME types in Debian stable (Squeeze), testing (Wheezy) and unstable (Sid). The complete list is available from the link above. I am told that PackageKit can provide an API to access the kind of information mentioned in DEP-11. I have not yet had time to look at it, but hope the PackageKit people in Debian are on top of these issues. Update 2013-01-16 13:35: Updated numbers after discovering a typo in my script. Yesterday, I wrote about the modalias values provided by the Linux kernel following my hope for better dongle support in Debian. Using this knowledge, I have tested how modalias values attached to package names can be used to map packages to hardware. This allow the system to look up and suggest relevant packages when I plug in some new hardware into my machine, and replace discover and discover-data as the database used to map hardware to packages. I create a modaliases file with entries like the following, containing package name, kernel module name (if relevant, otherwise the package name) and globs matching the relevant hardware modalias. It is fairly trivial to write code to find the relevant packages for a given modalias value using this file. I believe the format is compatible with the format of the Packages file in the Debian archive. Ubuntu already uses their Packages file to store their mappings from packages to hardware. By adding a XB-Modaliases: header in debian/control, any .deb can announce the hardware it support in a way my prototype understand. This allow those publishing packages in an APT source outside the Debian archive as well as those backporting packages to make sure the hardware mapping are included in the package meta information. I've tested such header in the pymissile package, and its modalias mapping is working as it should with my prototype. It even made it to Ubuntu Raring. To test if it was possible to look up supported hardware using only the shell tools available in the Debian installer, I wrote a shell implementation of the lookup code. The idea is to create files for each modalias and let the shell do the matching. Please check out and try the hw-support-lookup shell script. It run without any extra dependencies and fetch the hardware mappings from the Debian archive and the subversion repository where I currently work on my prototype. If you know of any hardware-package mapping that should be added to my database, please tell me about it. It could be possible to generate several of the mappings between packages and hardware. One source would be to look at packages with kernel modules, ie packages with *.ko files in /lib/modules/, and extract their modalias information. Another would be to look at packages with udev rules, ie packages with files in /lib/udev/rules.d/, and extract their vendor/model information to generate a modalias matching rule. I have not tested any of these to see if it work. One thing that annoys me with Debian and Linux distributions in general, is that there is a great package management system with the ability to automatically install software packages by downloading them from the distribution mirrors, but no way to get it to automatically install the packages I need to use the hardware I plug into my machine. Even if the package to use it is easily available from the Linux distribution. When I plug in a LEGO Mindstorms NXT, it could suggest to automatically install the python-nxt, nbc and t2n packages I need to talk to it. When I plug in a Yubikey, it could propose the yubikey-personalization package. The information required to do this is available, but no-one have pulled all the pieces together. Add a desktop entry in /usr/share/autostart/ pointing to a program starting when a user log in. Set this program up to listen for kernel events emitted when new hardware is inserted into the computer. When new hardware is inserted, look up the hardware ID in a database mapping to packages, and take note of any non-installed packages. Show a message to the user proposing to install the discovered package, and make it easy to install it. I am not sure what the best way to implement this is, but my initial idea was to use dbus events to discover new hardware, the discover database to find packages and PackageKit to install packages. Yesterday, I found time to try to implement this idea, and the draft package is now checked into the Debian Edu subversion repository. In the process, I updated the discover-data package to map the USB ids of LEGO Mindstorms and Yubikey devices to the relevant packages in Debian, and uploaded a new version 2.2013.01.09 to unstable. I also discovered that the current discover package in Debian no longer discovered any USB devices, because /proc/bus/usb/devices is no longer present. I ported it to use libusb as a fall back option to get it working. The fixed package version 2.1.2-6 is now in experimental (didn't upload it to unstable because of the freeze). For this prototype to be really useful, some way to automatically install the proposed packages by pressing the "Please install program(s)" button should to be implemented. If this idea seem useful to you, and you want to help make it happen, please help me update the discover-data database with mappings from hardware to Debian packages. Check if 'discover-pkginstall -l' list the package you would like to have installed when a given hardware device is inserted into your computer, and report bugs using reportbug if it isn't. Or, if you know of a better way to provide such mapping, please let me know. This prototype need more work, and there are several questions that should be considered before it is ready for production use. Is dbus the correct way to detect new hardware? At the moment I look for HAL dbus events on the system bus, because that is the events I could see on my Debian Squeeze KDE desktop. Are there better events to use? How should the user be notified? Is the desktop notification mechanism the best option, or should the background daemon raise a popup instead? How should packages be installed? When should they not be installed?